Keeping Up With The Joneses: Did Someone Say Partaay?! We had ourselves a big time at Jordyn's gymnastics birthday party yesterday. Everyone...and I do mean everyone had a blast! There could even be an argument made that some of the adults had just as much, if not more fun than the kids. These said adults might be feeling the fun today also!! This was the first party I have not had at either my house, my mom's house or my in-laws house and I must tell you...I LOVED it! I do love to decorate for parties, but I must admit it was so nice not having to get my house ready for a birthday party. I'm thinking that we will definitely be having more gymnastics parties in the future. Here is an obnoxious amount of pictures from the party. Sadly most of the pictures came out fuzzy. It was hard getting a good photo with the lighting that was in the gym. It didn't matter what setting I used I couldn't seem to get great shots, but the pictures are good enough to show the fun that was had. Total coincidence that the party plates I bought had polka-dots on them that matched the party room! The cupcakes I made and forgot to share with the kids during cake time. Oops. Let's get this party started with an obstacle course. Bryce showing his impressive flipping skills. Foam pit races. Two teams...run down the track into the foam pit. Make your way across the foam pit, then back again and then back across and run back to tag the next person on your team. TIRING! Bryce didn't want to race so he had daddy throw him into the pit. Look at cousin Bennett go! Noah leaping into the pit...looks like he has only one leg! Uh oh...Uncle Joe is on the trampoline! Bryan doing a back flip. I am too chicken to do a back flip so I did a front flip! Krystal doing a back handspring down the tumble track. Very impressive since she had a baby 5 months ago. Bryce was like this the entire party. Just a crazy man all over the pace. He was in heaven and went none stop the entire party! Swinging on the rings into the pit. Cousin Mae flies through the air. Cousin Karey showing the kids how to make jumping in the pit look good. My beam routine. Olympics here I come...funny face and all. The big boys learn the rings are in fact...very hard. Joe trying to go into the "T". Hudson...and a side of drool. Total cuteness. I'm super bummed these pictures of honey are so blurry, but here is proof she did a flip on the bars! Like mother, like daughter - Lisa and Lexi are beautiful! Karey determined to pull over the bars. Sisters that hang together stay together. Jumping cousins. These two were glued at the hip. Lisa, Summer, Jordy and Maisie. Our beautiful baby girl. Love her so much! Big moment. Lighting the candles. Happy Birthday Jordyn. We are so proud of you and love you so much! 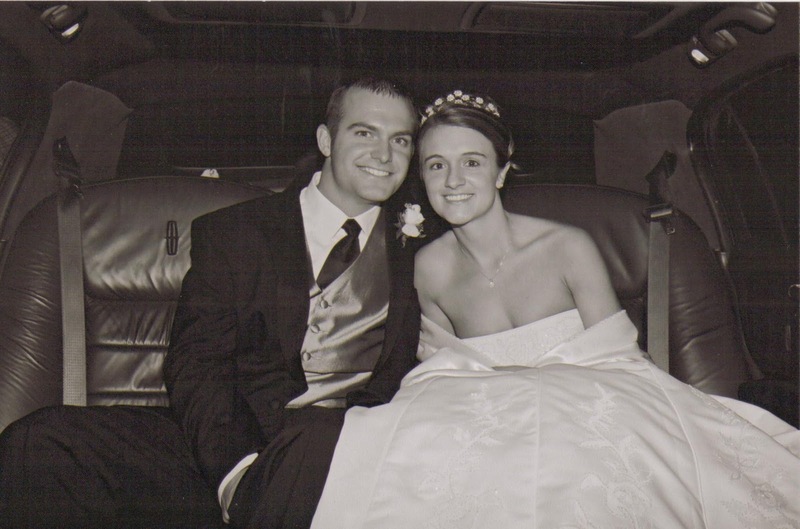 Oh yea...yesterday the Mr. and I celebrated our 11th wedding anniversary. No big plans since we had so much going on with the kids, but we did sneak in a yummy dinner at Kani House. Isn't it amazing how we still look exactly like this? That was my joke of the night. I love my Bryan and the life we have together. I am blessed beyond belief and seriously feel like even though our life gets crazier by the year, it gets that much better! Here's to many more years of marital bliss with the love of my life!